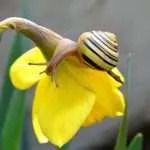 6 Which flowers do slugs and snails like to eat? 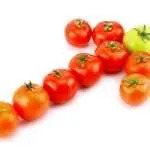 9 How can you protect these varieties? Don’t grow plants that snails and slugs love to eat. 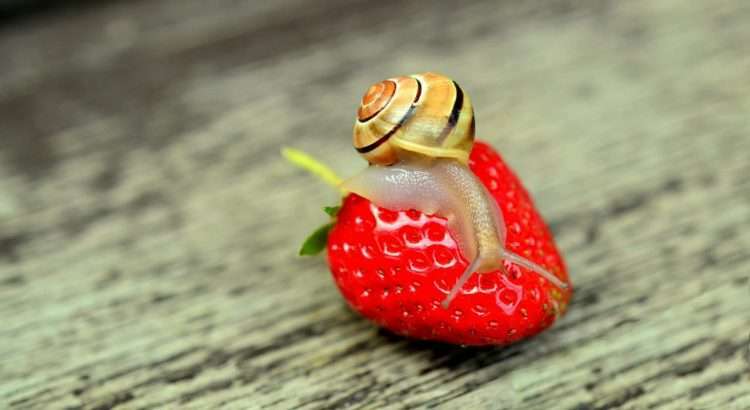 Slugs and snails are usually selective and there are some flowers and vegetables that they simply can’t resist eating. 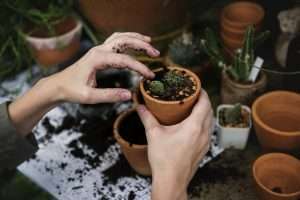 In this article, you’ll discover which plants are their favorite food so that you can avoid growing them in the future. However, I’d also like to introduce a completely different approach here: ‘the sacrificial bed strategy’. 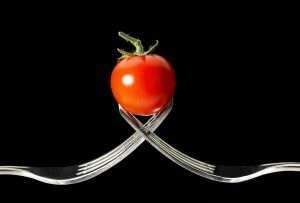 Which vegetables and herbs do slugs not like to eat? 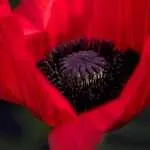 Which flowers and perennials are slug-resistant? 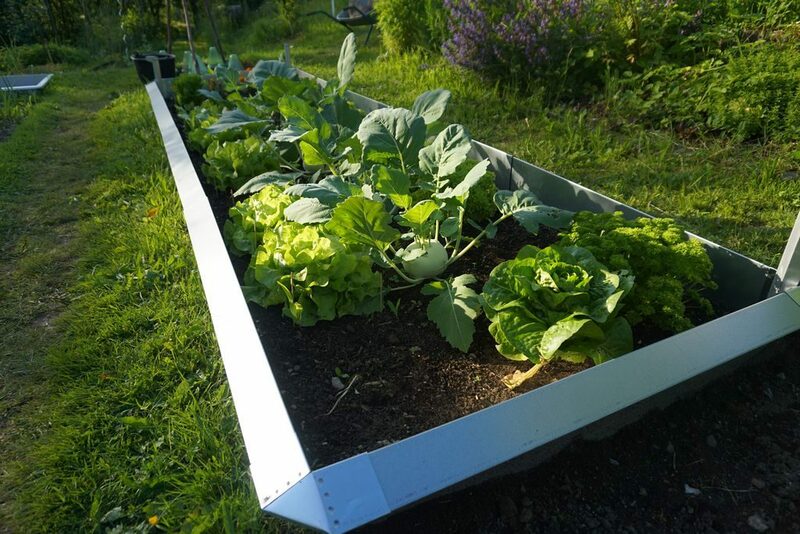 An interesting idea is to create a so-called ‘sacrificial bed’ for all slugs and snails to enjoy. If you plant a bed and fill it with the plants they like most, then most of them will gladly stay there and leave the other plants in peace. Personally, I consider this to be one of the cleverest methods of slug control. The sacrificial bed distracts the slugs. 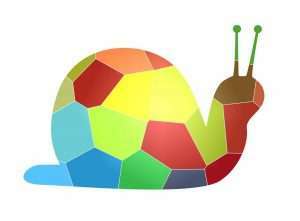 In the sacrificial bed, snail life traps can be set up, to collect and relocate the snails easily. 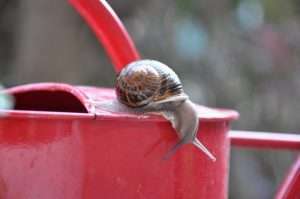 If there are certain gates through which slugs and snails enter the garden, the bed could be placed there, so that they’re caught before they reach the vegetable garden. The danger, however, is that this could attract even more slugs and snails. 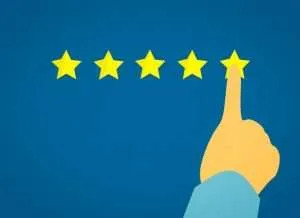 So, you must make sure that a sacrificial bed really does contain enough space and plants so that the slugs and snails are satisfied and aren’t interested in migrating to other flower and vegetable beds. This strategy works only if there’s enough space available. The following lists show which plants would be perfect for a special slug bed. Beans are slug magnets. They can be protected by slug collars. 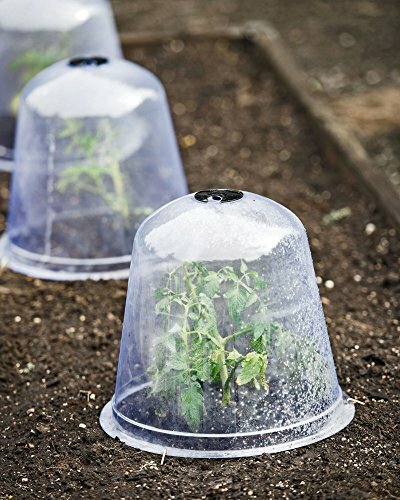 A slug barrier protects vulnerable plants. 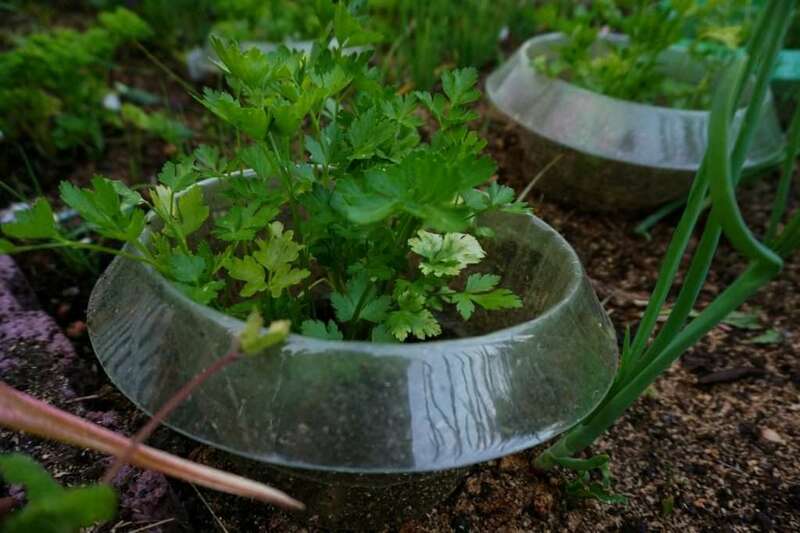 For herbs slug collars are a protective ring. Most herbs aren’t afraid of snails. 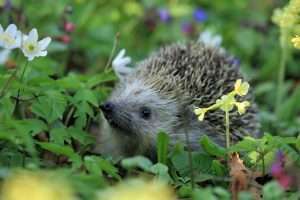 A herb garden, therefore, isn’t usually a place where a lot of slugs and snails can be found. 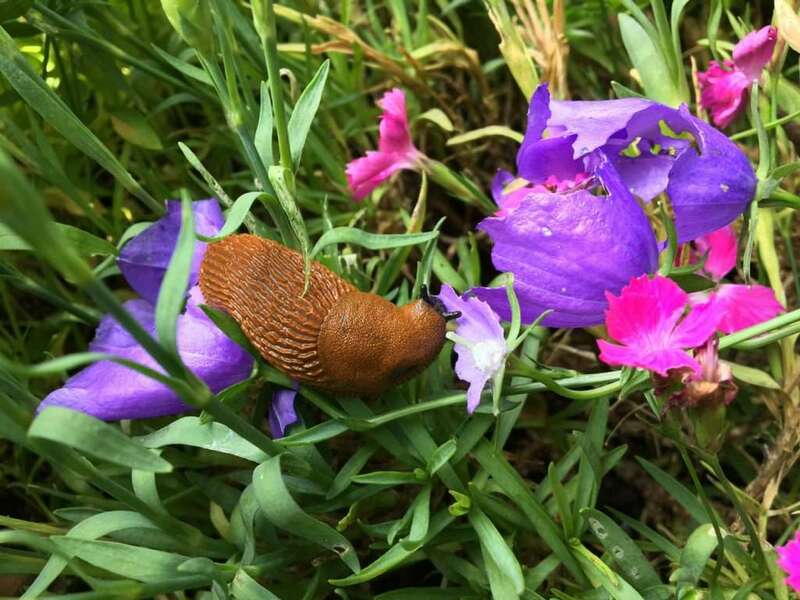 Which flowers do slugs and snails like to eat? Flowers are particularly suitable for a snail-catching or sacrificial bed. 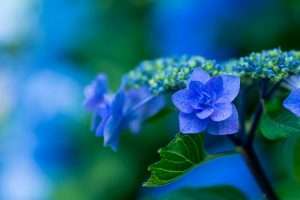 Here you’ll find a short list of flowers that are usually attacked first. Fortunately, there’s a much longer list of flowers that snails don’t particularly like. These snail-resistant varieties are therefore easy to avoid. 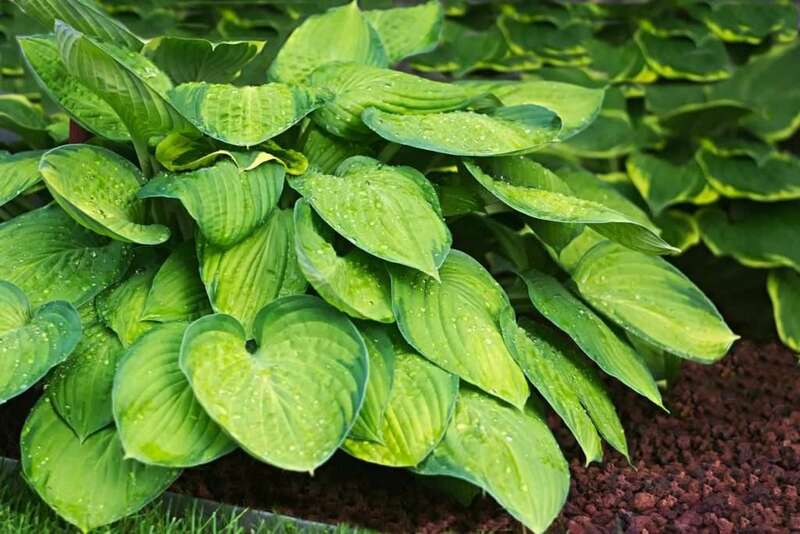 Hosta/Funkia plants are slug magnets. 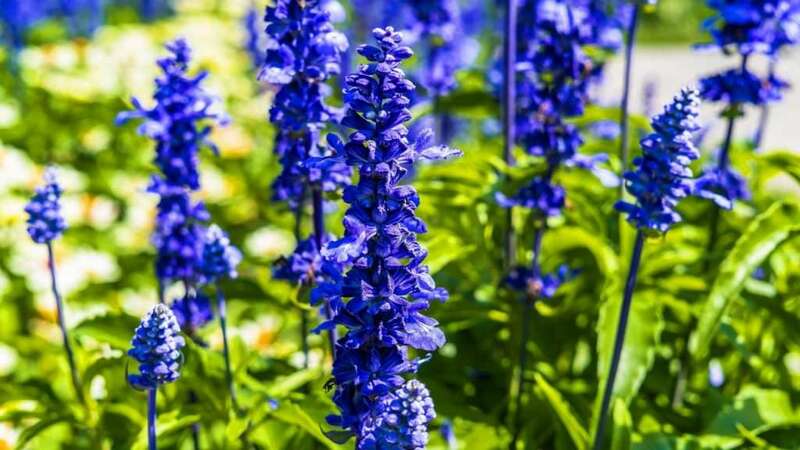 Slugs and snails love larkspur. 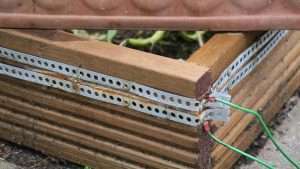 An electric slug fence can be installed. 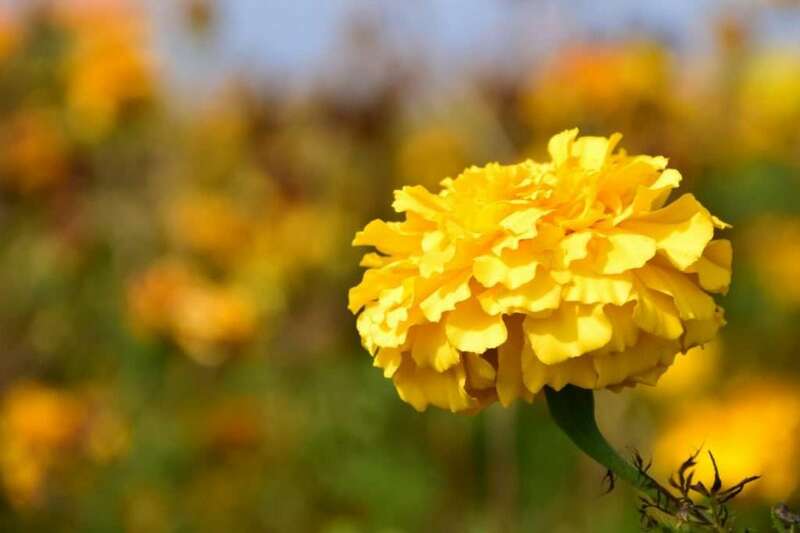 How can you protect these varieties? If you really like these flowers or you’re a vegetable gardener, there are several ways of protecting vulnerable plants. Since beer traps and slug pellets help for only a short time but are counterproductive in the long term, using them isn’t helpful. It’s better to use slug barriers and to attract natural enemies. 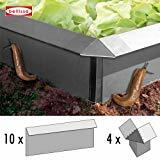 Mechanical obstacles such as slug collars, copper rings or garden cloches are easy to set up and keep even the snails’ favorite foods safe. Particularly effective are slug fences made from galvanized metal. They can protect beds for many years. 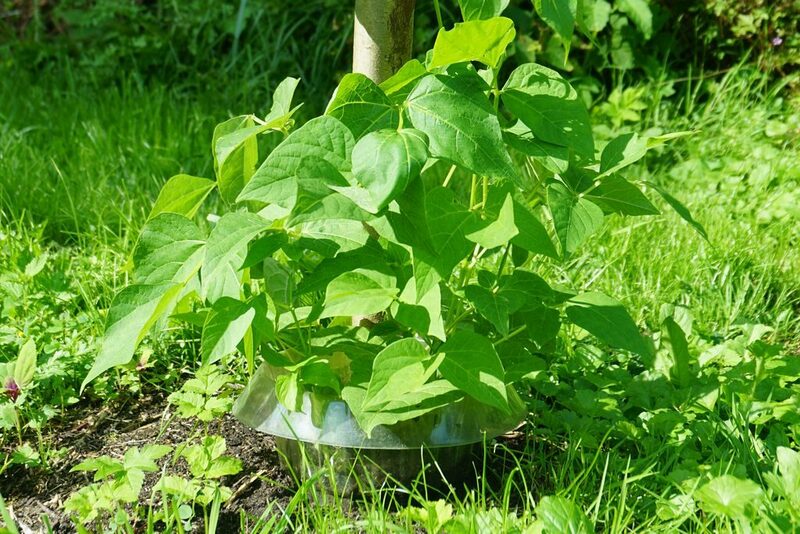 With a little skill, it’s also possible to build an electric slug fence. You can also do many little things yourself. 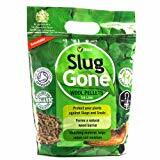 You’ll find some upcycling ideas here: Slug control DIY. 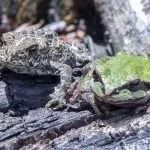 In addition, you can surround a breeding bed with wood or stones and then protect it with Schnexagon – a new protective anti-slug coating that’s also suitable for raised beds. It’s in your long-term interest to make the garden resistant to snails by trying to attract as many enemies as possible to the garden. 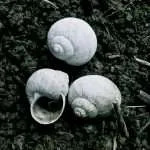 A near-natural garden that contains a large variety of species is usually well prepared against snail or slug population booms. 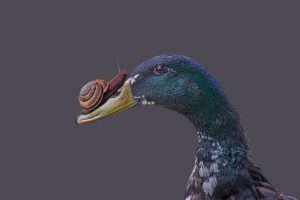 If snails have many natural enemies, they can’t multiply explosively. 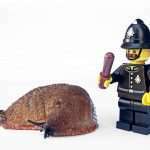 A quick, simple method is to collect and relocate the slugs. This is best done with snail traps (without beer).